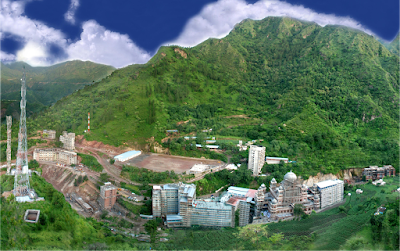 A Unique University in "The Valley of Divine Peace"
In the most interior areas of Himachal Pradesh, is situated a unique University with a unique goal and model:”World peace through value-added education”. 1. It is the first private self-funded non-profitable Sikh University in the whole world. 2. The first private full-fledged University of Himachal Pradesh set-up by an Act of the State Legislature. 3. This University is managed by The Kalgidhar Trust, one of the richest trusts in the whole world. 4. The only University in the country with a unique dress code (Kurta-Pyjama for boys & Pyjami-Suit for girls) which reflects our rich cultural heritage and upholds the philosophy of “Simple Living-High Thinking”. 5. The only University in the country with 90% attendance requirement for the students, so as to inculcate discipline, accountability & punctuality in the students and prepare them to face the highly competitive world. 6. It is situated in one of the most interior areas of H.P. i.e., distt. Sirmour and is 110 Kms from Shimla, which is the capital city of Himachal Pradesh. 7. It consists of Asia’s largest Gurudwara, “Darbar Sahib”, where more than 10, 000 people can perform Ardas (pray) at one time. 8. It consists of a 450 acre sprawling campus comprising of a University, a number of professional colleges, an international Akal Academy, a multi-specialty charitable Hospital, a Gurudwara, a post office, a bank, a fuel station and many more world class facilities. 9. It guarantees a unique model of value based education, unique in its own way in the whole world. 10. Totally drug free, smoke free & liquor free eco – friendly environment. 11. Only place in the whole country where The Central Ministry of New Renewable Energy, Govt. of India is setting up a solar energy pilot project worth Rs. 6 millions. 12. The best place where a child can study well and can become a well groomed professional with excellence in technical, communication & spiritual skills. So, come and experience the difference. Welcome to the valley of divine peace in the lap of Himalayas.